Puerto Rivas Elementary School started as a small primary school with only one section, Grade I with a total number of 30 pupils. The first teacher assigned here was Ms. Lutter C. Morales, that was SY 2003-2004. Then the following year another grade level was added with a total number of 29 pupils, where in Marichie N. Enriquez was the next teacher. SY 2004-2005, another grade level was added until such time that it was SY 2010 when it became a complete elementary school. Mrs. Violeta M. Mena was the first principal assigned. 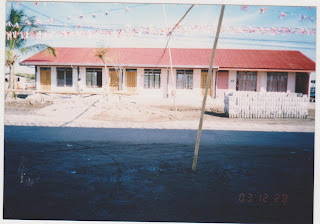 At that time, the school was then a satellite school of Maximino delos Reyes Memorial Elementary School. Through her effort being the first school head, she has the drive to change the name of the school after series of meetings with stakeholders of the community. Finally, under Resolution No. 09. s, 2001 dated January 24, 2010 wherein the City School Board under the leadership of Mayor Jose Enrique S. Garcia III withthe help of Sangguniang Panglungsod, they gave their affirmative recommendation to change its name to PUERTO RIVAS ELEMENTARY SCHOOL. The school’s Total Land Area – 5,525 sq. m. and Puerto Rivas is consists of three (3) barangays. Lote, Itaas and Ibaba, which is located in the coastal area of the city facing Manila Bay. Residents of the barangay are engaged in fishing industry. Tuyo or dried fish, tinapa and bagoong are the main product in the area. We have six (6) female nationally funded and one (1) female from City local school board together with one (1) school clerk and one (1) male utility comprises the teaching and non-teaching staff of our school, wherein two (2) teachers are T-III, one (1) is T-II and three (3) are in T-I position. · 2011 is 218 including our Kinder pupils.